The annual conference season for the political parties in the UK has been in full swing. The Labour pParty held what has been widely reported as a highly successful conference last week. In contrast to Labour’s conference, the Conservative conference has been widely reported aslacklustre. 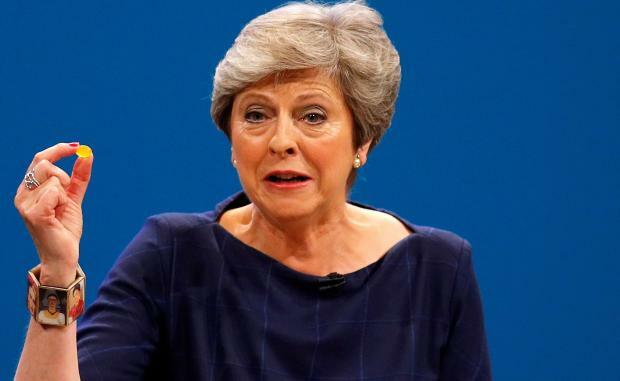 Labour leader, Jeremy Corbyn, was the star in Brighton, where the conference was held, while Prime Minister, Theresa May, was left looking over her shoulder at possible rivals for her job. Britain’s Foreign Secretary Boris Johnson, seen as her main rival, made a typically rousing speech in which he talked up Britain’s standing in the world and how it will succeed in going global post-Brexit. Though his subsequent comments on Libya once again brought calls for him to be dismissed. The Palestinian-Israeli conflict did not figure in his remarks. It was left to the government’s international development decretary, Priti Patel, to criticise the Labour leader for failing to condemn the “terror his friends in Hamas have unleashed upon the Israeli people and not once did he condemn or confront his supporters who have launched a wave of anti-Semitism, bullying and abuse against anyone who does not subscribe to their extremist views”. It sounded as if she was only addressing pro-Israel supporters in the conference hall rather than offering a way forward. May also accused Corbyn of “allowing anti-Semitism and misogyny run free in his party”. Again no mention of Palestinian suffering at the hands of Israel. Although this appeal cheered the Palestinians and their sympathisers, it did not, however, go down well with the ardent supporters of Israel within the party. However, both sides must have noted that he omitted from his speech an important promise made in the now famous Labour manifesto. 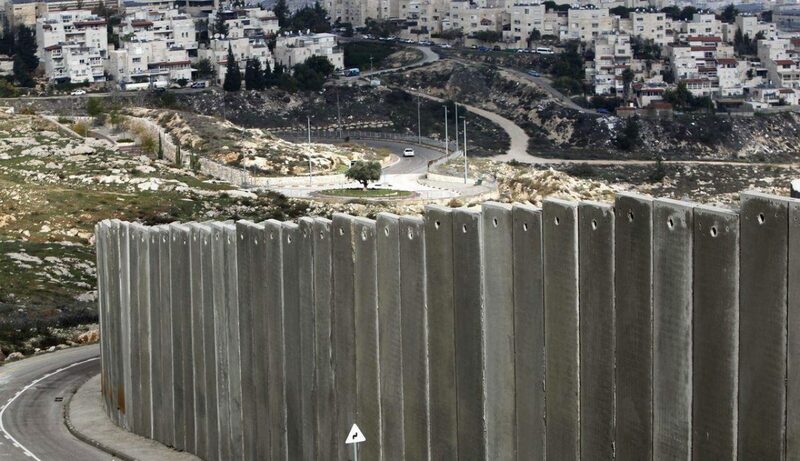 It committed a Labour government “to immediately recognise the state of Palestine”. Recognising Palestine as a state is a tangible action that a Labour government can take to demonstrate its commitment to support the Palestinians and their rights, a move which the Conservatives refuse to take. Recognising Palestine also would simply be implementing a decision taken by the British Parliament in 2014 following the Israeli war on Gaza. The Labour leader’s two-year silence on the Palestinian issue can reasonably be attributed to the vicious attack he has faced since his election at the hands of the pro-Israel lobby both within and outside the party. The prospect, though judged unrealistic at the time of his election as leader in 2015, of a committed supporter of Palestine and equally outspoken critic of Israeli policies entering 10 Downing Street as British prime minister sent the pro-Israel lobby into panic mode. The inquiry and subsequent report were not adequate as far as the pro-Israel lobby was concerned. The lobby’s response was to conflate anti-Semitism with criticism of Israel. A new definition of anti-Semitism, that went beyond the widely understood accusation of “hatred of Jews because they are Jews” was needed to shield Israel from criticism. This came in the form of the International Holocaust Remembrance Alliance (IHRA). Issues related to Israel figure prominently in the examples given by the IHRA to explain the definition, thus making it possible to accuse critics of Israeli policies of anti-Semitism. This definition was adopted by the government, the Labour Party and a number of local authorities. It is now being used regularly to throw accusations of anti-Semitism around despite a legal opinionwhich described it as “unclear and confusing and should be used with caution”. The Jewish Labour Movement (JLM) and Labour Friends of Israel (LFI) are two organisations that work within the Labour party to influence its policy in support of Israel. LFI members were furious that the Labour leader did not address their fringe. However, the rule change means the IHRA definition could be used to accuse individuals criticising Israel of anti-Semitism and they could then be suspended or expelled. The pro-Israel lobby becomes the gatekeeper on what is acceptable criticism and what crosses their lines. However, the rule change did not go unchallenged. The emergence of a new group, the Jewish Voice for Labour (JVL), representing Jewish socialists who support Palestinian rights, provided some pushback against the pro-Israel lobby in the party. Two of its members spoke against the rule change but more significantly spoke for parts of British Jewry that the JLM cannot claim to represent. The importance of the emergence of JVL cannot be overemphasised. In future, the Labour Party cannot develop policy that might impact on British Jews or policy on Israel and only speak to the JLM. This should bring a fairer representation of Jewish views than in the past. As the 2017 conference season ends, the Conservatives continue with business as usual in supporting Israel and paying lip service to the suffering of the Palestinians, while there is hope that a Labour government would act to support the Palestinians in their quest for justice and freedom. For Palestinians that cannot come quickly enough. – Kamel Hawwash is a British-Palestinian engineering professor based at the University of Birmingham and a longstanding campaigner for justice, especially for the Palestinian people. He is vice chair of the British Palestinian Policy Council (BPPC) and a member of the Executive Committee of the Palestine Solidarity Campaign (PSC). He appears regularly in the media as commentator on Middle East issues. He runs a blog at www.kamelhawwash.com and tweets at @kamelhawwash. He writes here in a personal capacity.